The "Most Scenic Golf Course" in the Northwood's is owned and operated by the third generation of the Bromann family in Harshaw and is set on 325 acres of beautiful rolling terrain. This 18 hole public golf course plays to 6,200 yards where the front nine is best described as sporty. Amid the forests, lakes and trails that make the Wisconsin outdoors special are eight courses that give locals and traveling golfers even more reason to stay outside. 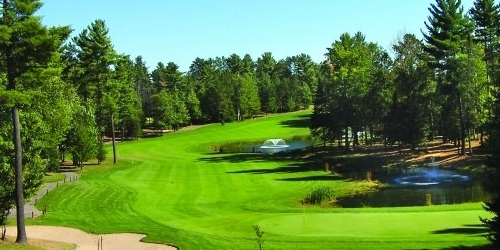 The Wisconsin Northwoods Golf Trail has the benefit of proximity going for it, since all the courses are within a 20-mile radius of each other. Eagle River Golf Course puts a premium on ball striking, since it is very narrow. Northwood has received a four-and-a-half-star rating from Golf Digest and features incredibly low greens fees, and St. Germain delivers plenty of challenges in tight quarters. In other words: Go outside and play! Watch the Wisconsin Northwoods Golf Trail Video.